← The Fire Seer and Her Quradum out today! Coming on September 8th, a new novella in the Hearts and Thrones series! 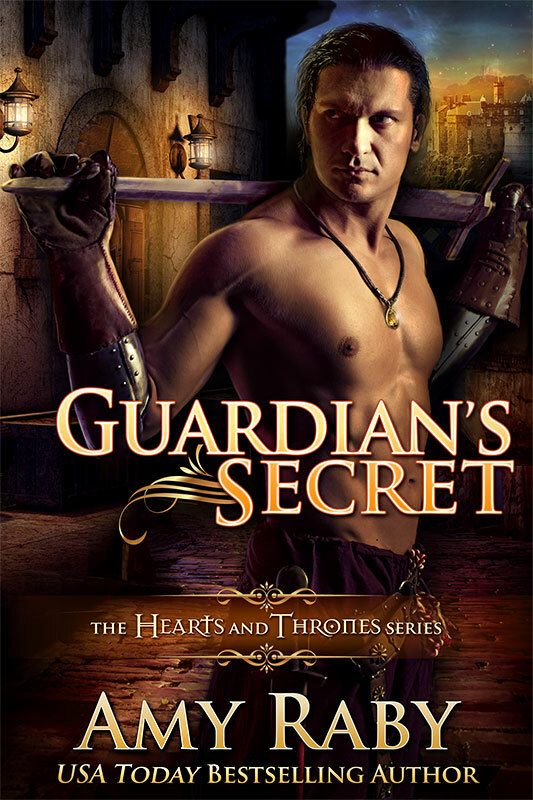 Guardian’s Secret is a side story featuring Drusus, the imperial bodyguard from Healer’s Touch, who is now retired from the guard–and harboring a secret he’s kept for over twenty years. This book is a bit of a departure for me in that it’s a gay (m/m) romance, while the rest of the Hearts and Thrones series features heterosexual (m/f) couples. I know that it’s typical in the romance world to write a series that is either all straight or all gay. The problem is that when you build a fantasy world full of all different kinds of people, some of them are going to be gay, and if one of those character’s stories is worth telling, I want to tell it. So, yes, this is a gay m/m story that is part of a series of mostly m/f stories, and the reason is simply that this world, like our own, has both straight people and gay people in it. I struggled with how to price this novella. It’s longer than a typical novella, about half the length of a full-length novel. Since my novels are priced at $3.99, the logical price for this one would be $1.99, but what readers may not know is that many vendors (including Amazon) cut your royalties in half if you price a work of any length below $2.99. It’s a punitive thing; they don’t like it when authors price their books low because they make less money that way, and unfortunately they apply this policy to everything, even 10-page short stories which really ought to be priced at 99 cents. So here’s what I decided. I’m going to price this long novella at $2.99. BUT, as a thank you to my loyal readers, I’m going to release it with an introductory price of 99 cents. This introductory sale price will apply for the month that it’s available for pre-order as well as the first week of release. After the first week, the price will go up to $2.99. I’ll post again when the pre-orders are up on Amazon and iBooks. These are the only two sites that allow me to set up a pre-order, so on other sites such as B&N and Kobo, the book will go up on release day. This entry was posted in epic fantasy, fantasy romance, Hearts and Thrones series, New release and tagged epic fantasy, fantasy romance, gay, hearts and thrones, m/m, novella, romance. Bookmark the permalink. 2 Responses to Guardian’s Secret–coming September 8th! I’m so excited about the diversity in your fantasy world, Amy! Yay!